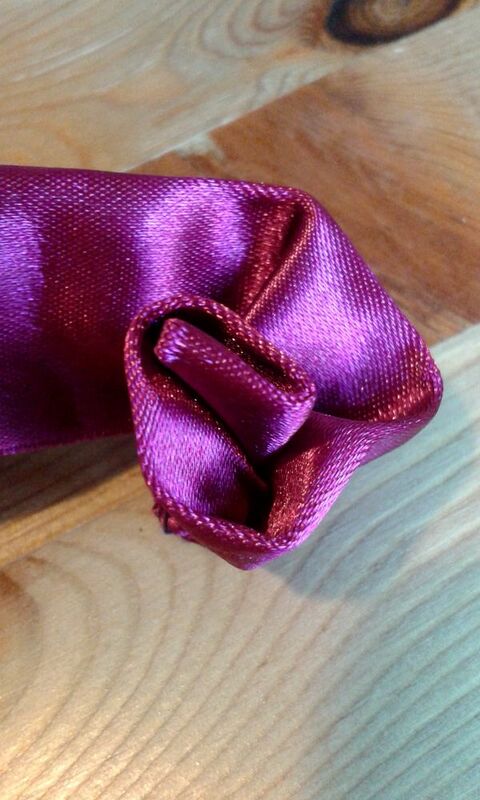 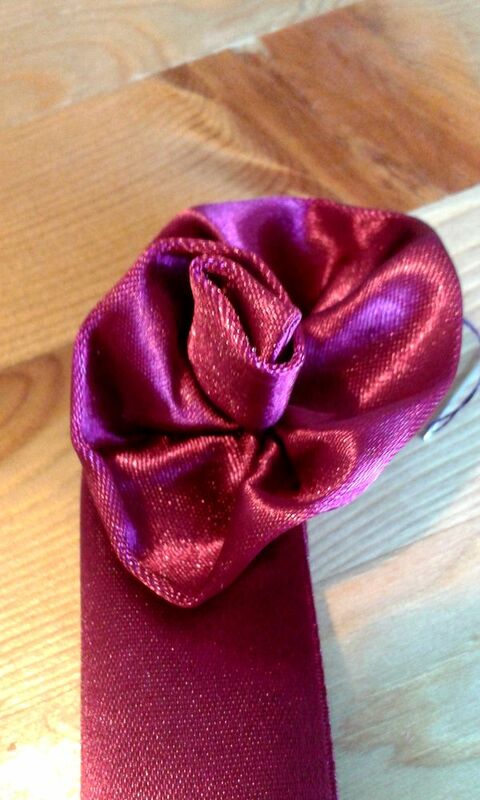 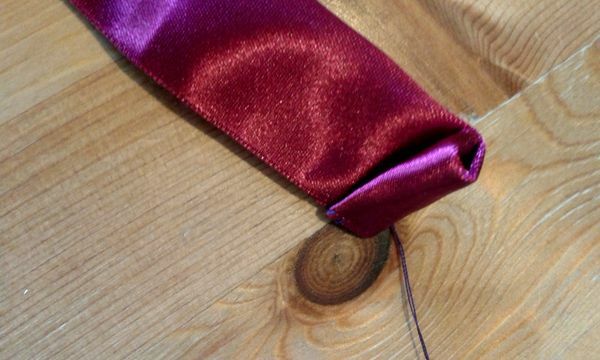 Now I will show you how to make silk rose napkin rings. 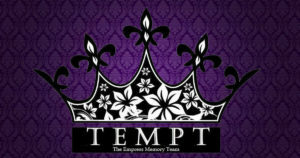 Look at the picture galleries below. 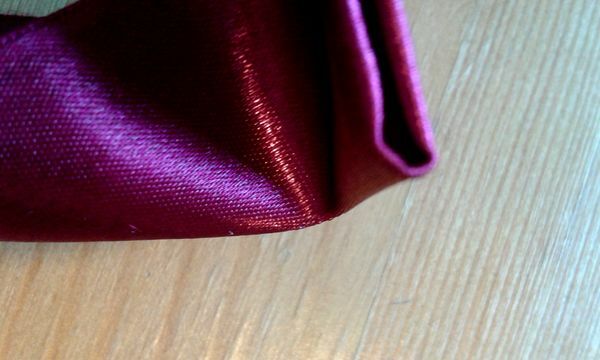 You can click to enlarge images and see the whole picture. 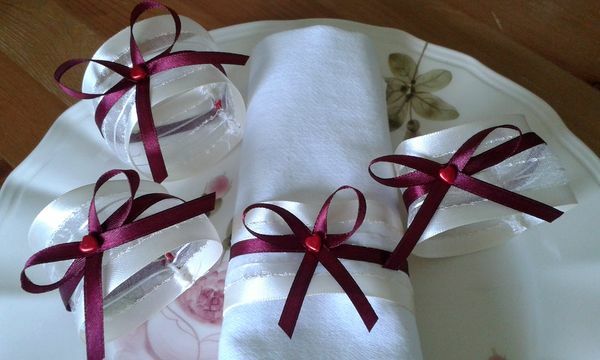 You can make a set of 6-8 or 12 rings, or you can simply use them for decoration purpose. 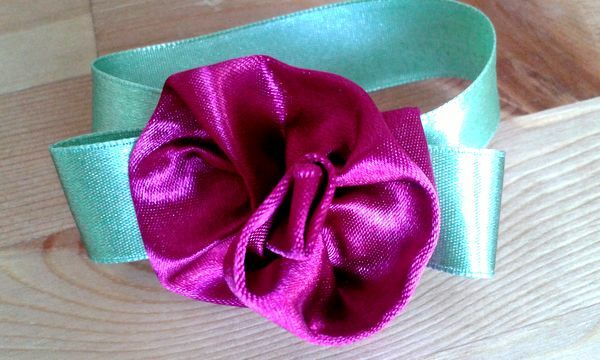 It could be a wonderful present for someone special. 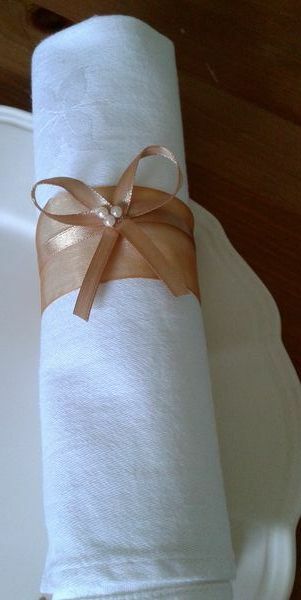 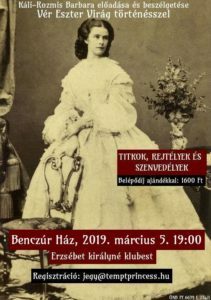 I have already given sets for my friends and everybody were astonished by them. 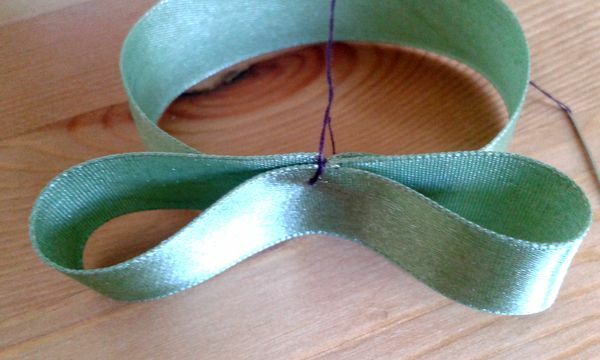 You do not have to spend a lot to buy the necessary things since you need nothing but scissors, thread and silk ribbons. 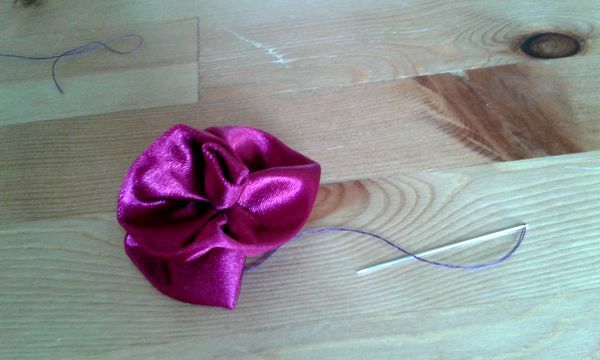 Of course, you can make the roses from other colours. 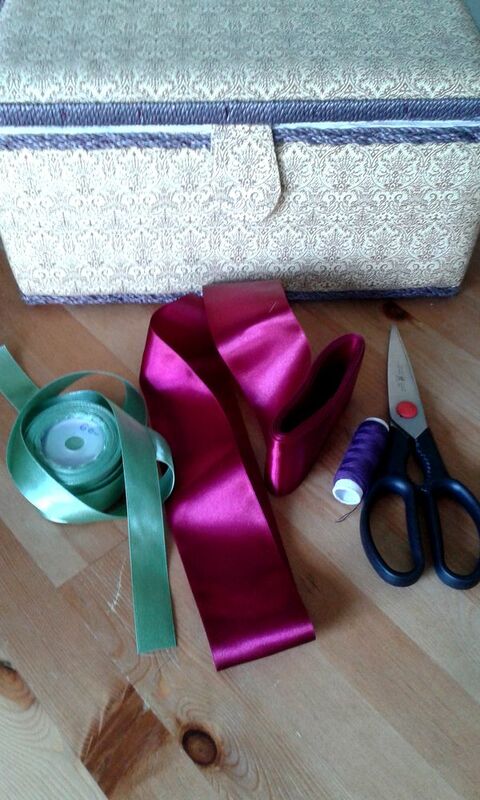 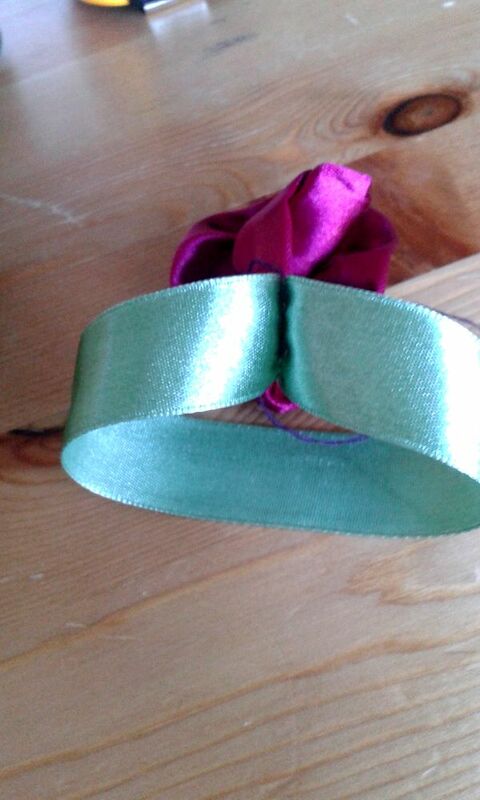 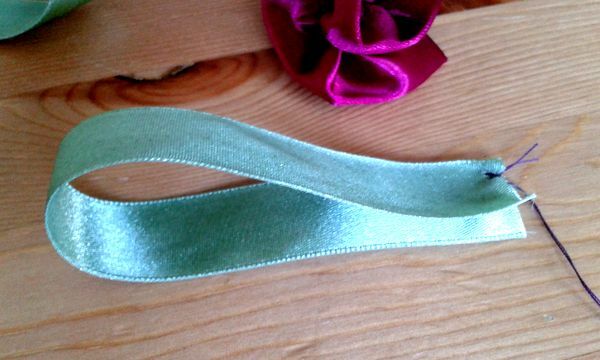 To prepare the head of the rose, buy wider ribbon as you can see in the photo below. 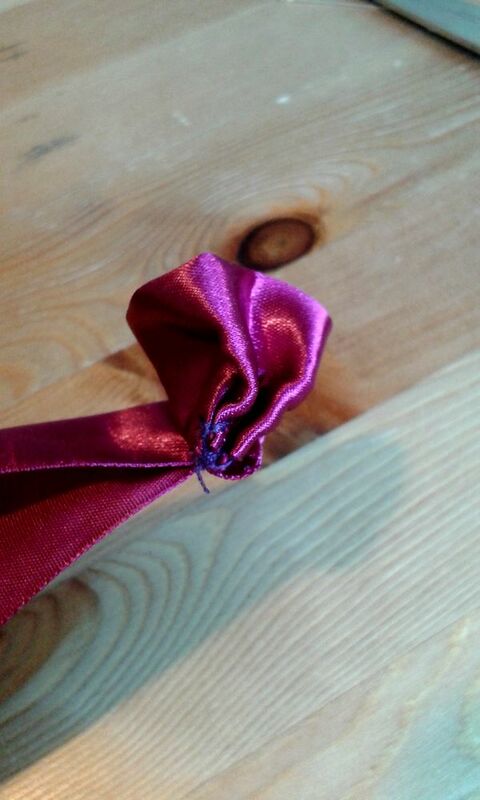 You need about 20 cm of the ribbon to prepare one rose so calculate the length of it before purchase (it is up to you how big heads you wish to make). 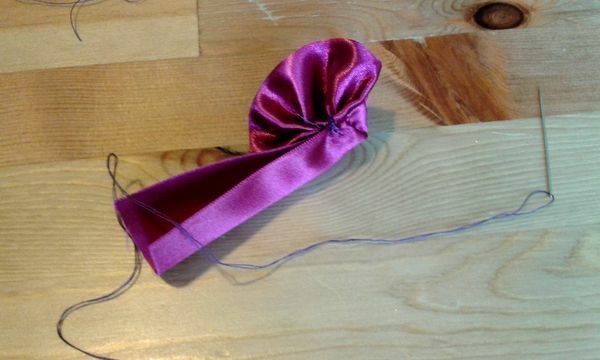 First, fold the ribbon in half then make the rose as it can be seen in the photos. 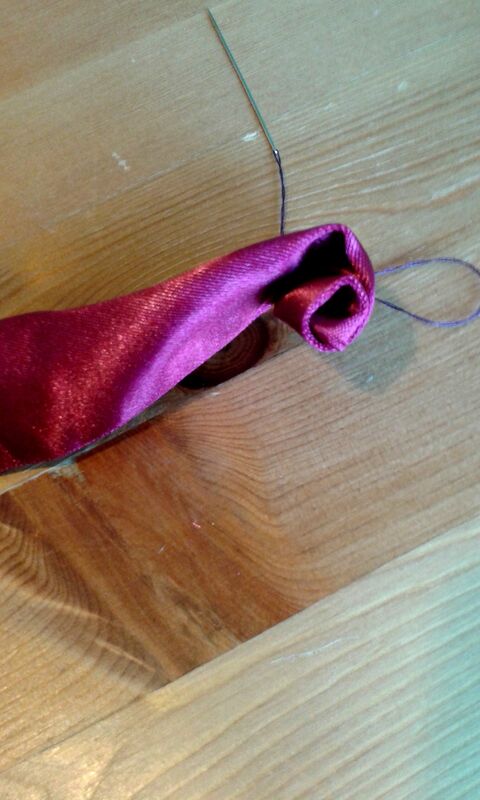 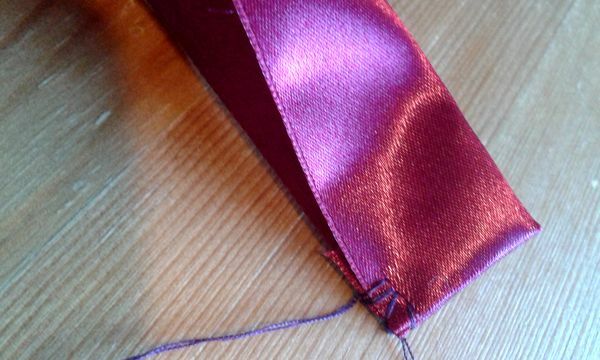 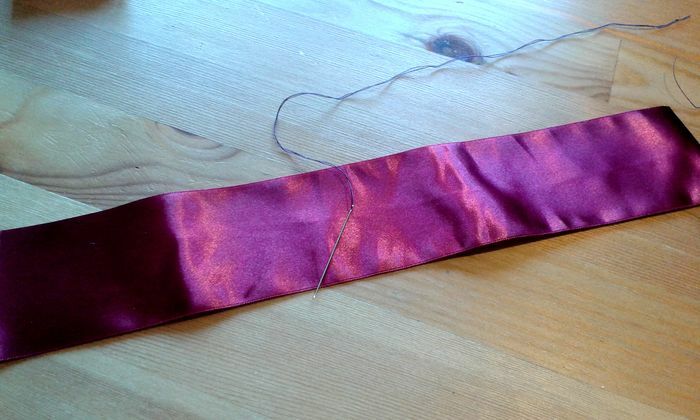 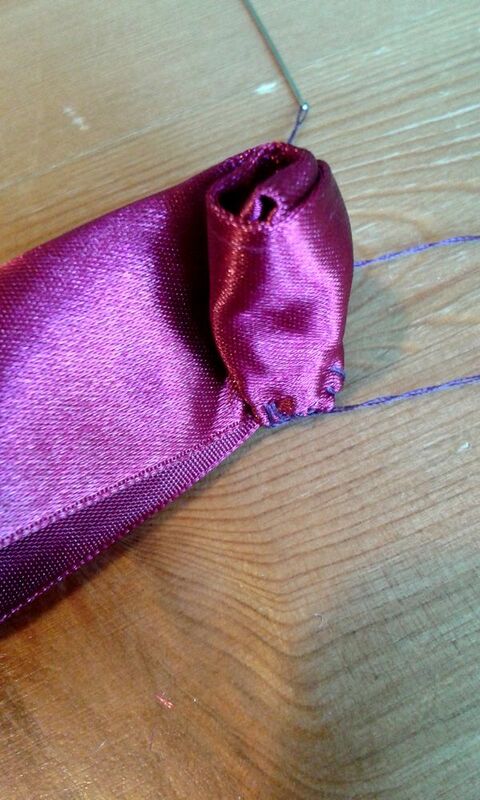 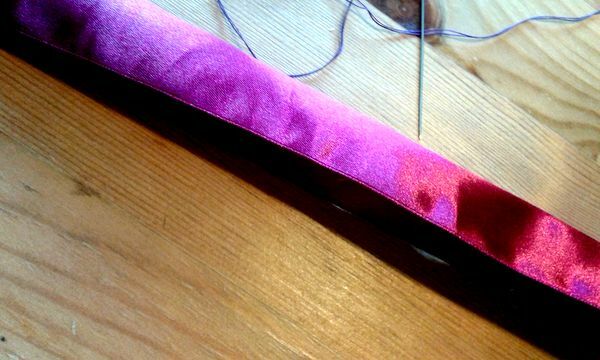 Then fold the end of the ribbon inside and fix it with the thread before you start rolling it. 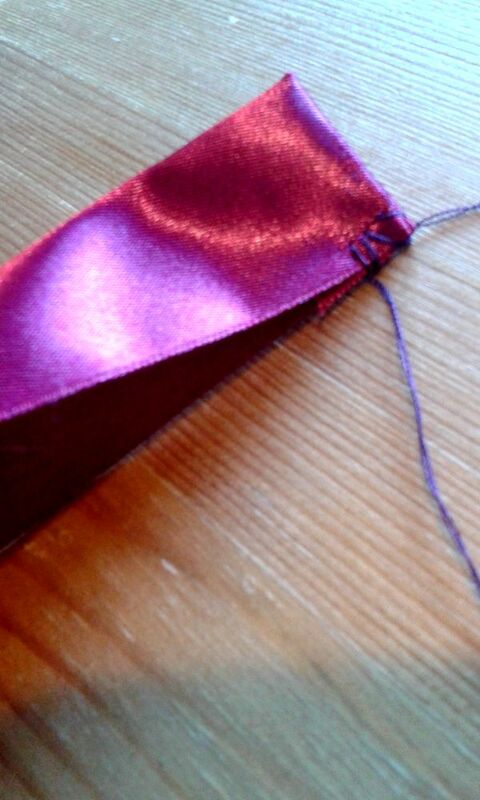 Roll and fix it then roll again, and so on. 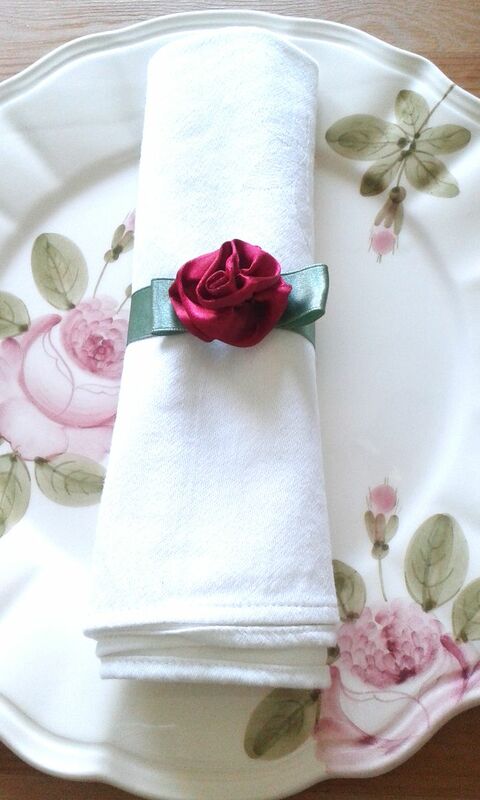 Now you can see the silk rose ring on the napkin (you may use paper napkin – it looks marvellous on that as well, however, perhaps you need to have two napkins to get a similar look). 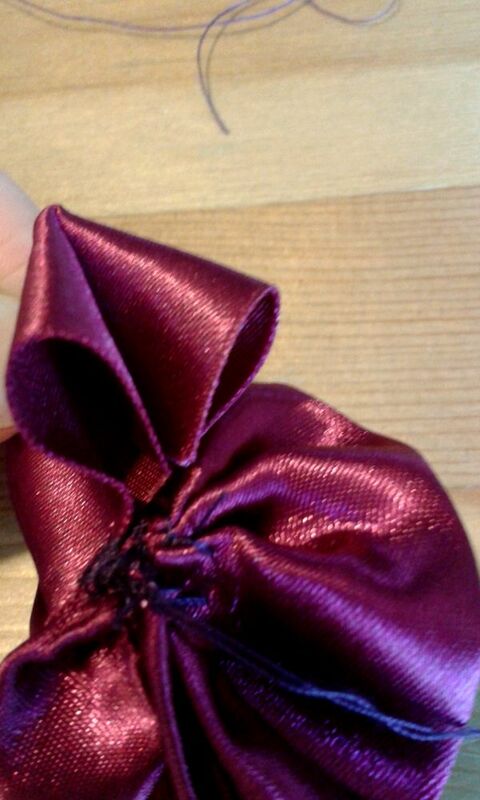 If you enjoy working with the silk ribbon, you may want to make another kind of rings as well. 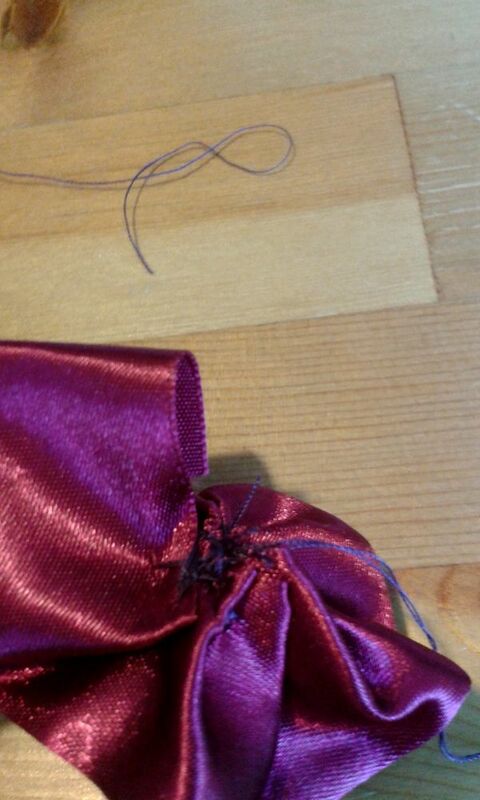 I have also created the ones below, as examples.